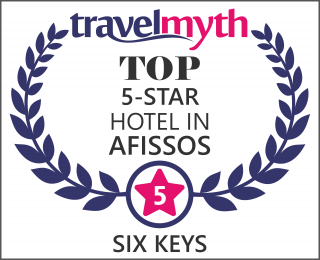 “6 keys” rooms in Pelion has been for its owners the dream of a lifetime that came true. Having been “travelers of the world” themselves, they decided to transform this unique site into a pioneer place of hospitality by summoning up their good taste and knowledge. Being one of the most beautiful hotels in Volos area, “6 keys” guarantees to offer you a unique experience of relaxation, with luxurious services adjusted to the demands of the guests, a restaurant of Mediterranean taste and rooms lying on the waves just a short distance from the picturesque villages of Pelion.